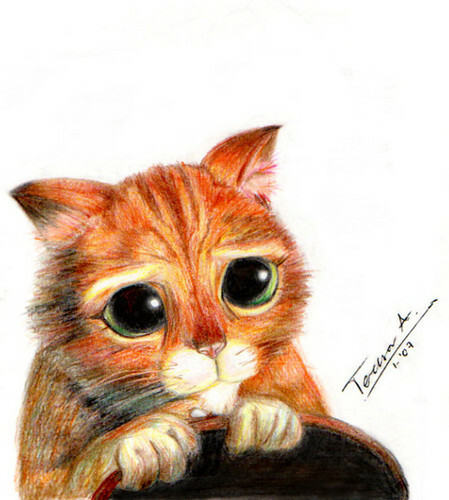 Cute ♥. . Wallpaper and background images in the Puss in Boots club tagged: puss in boots fan art tumblr. This Puss in Boots fan art might contain 子猫, キティ, トム, tomcatの, tom, tomcat, タビー, 女王, タブビー, クイーン, and 女王のぶち.